There are 580 Aldi UK stores, selling their own-brand staple grocery items at prices that are hard to beat. Pick up a weekly ad intstore or view the latest Aldi Specialbuys online. Aldi is able to offer such low prices on their day-to-day items because they buy in such great volume. Aldi stores are medium sized and have a simple format. Product is not removed from the boxes or packing it comes in, meaning it takes little effort to restock shelves (keeping prices low) and customers can easily find what they need. Stores are usually located on the outskirts of town centres. Aside from all the usual week-to-week grocery items, Aldi sell a range of other specialist items. Aldi wine, for example, has garnered a reputation for quality at a low price, even beating wines from other supermarkets (which cost 3 times more) to international wine awards. Everyone loves checking out the weekly Aldi Specialbuys selection, and now you can shop for it online too! Specialbuys are released every Sunday and Thursday. Before arriving in the UK over 25 years ago, Aldi was a well-established German supermarket chain with a history stretching back to 1961. Aldi’s original store in Essen, Germany, is still in operation! The retailer now has stores in 18 countries around the world, including the USA and Poland. Aldi UK stores were first opened in 1990, and since then the supermarket has become established as one of the country’s top retailers with 580 locations around the country. 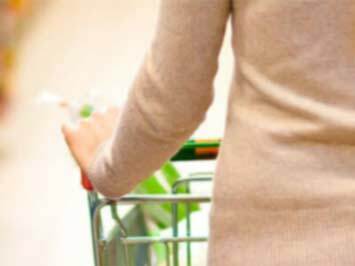 Aldi offers are released every Sunday and Thursday, but if you’re a little forgetful there are number of ways to make sure you don’t miss any of the deals. Sign-up to the email newsletter and you’ll get reminded just before the latest Aldi offers are released. No stores near you? Good news! Aldi online shopping just became a thing, with the weekly Specialbuys now available online. Get even more great offers with the Aldi mobile app, which lets you order Specialbuys up to one week before they arrive in store and get them as soon as they are released!